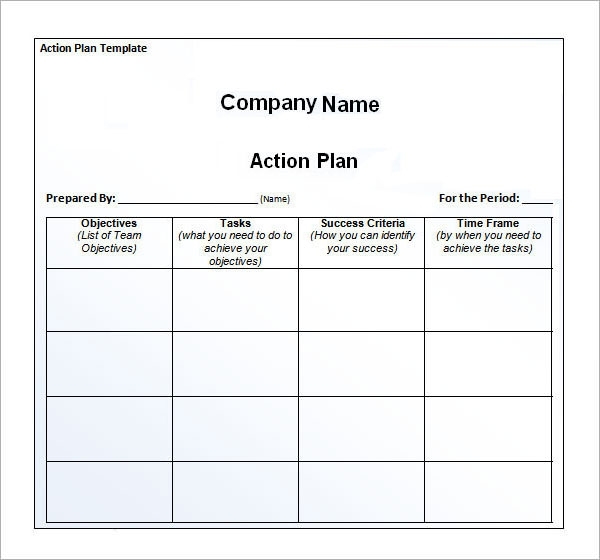 The action plan templates play a very important role in prioritizing the business to enhance the fortunes of the company. Documents display information professionally for the entrepreneurs so that they can bolster the business prospects without any problem. One of the most important aspects of the Swot Analysis is that they are absolutely free for the users and can be edited according to the requirements and specifications. It is designed in the form of grids representing rows and columns. Different headers are located from left to right to provide complete information to the users. The template contains adequate space to accommodate the action plan that is required to transform the business prospects of the country in future. 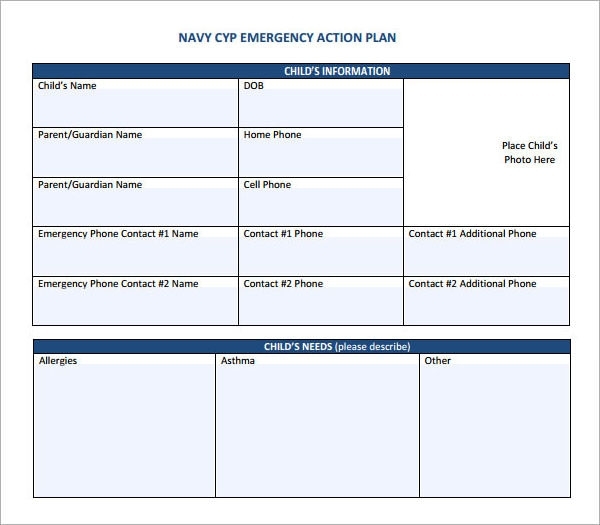 Emergency action plan template would go a long way in providing wonderful results to the users. It consists of the name of the person along with the date of birth and the contact information. Below the header, the emergency action plan can be explained in detail to carry out the necessary tasks. 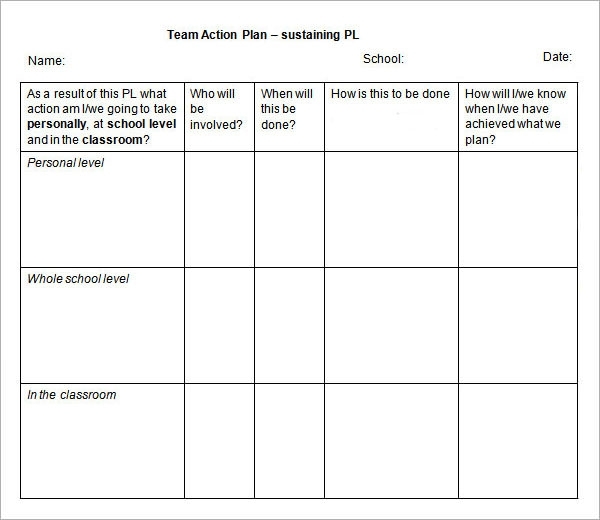 Action plan format template pertains to the school as it has three levels namely personal, whole school and in the classroom. The information is arranged in rows and column for the users so that the information is entered without any hassles. It also contains the header in which achievements are mentioned after the planning. 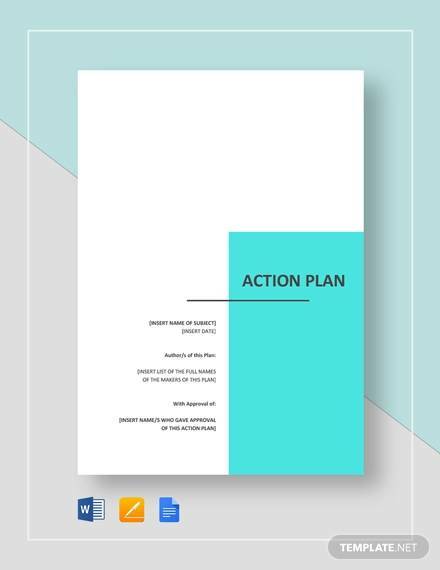 The action plan proposal template is segregated into different points that can be referred according to the preferences of the users. It includes references to strategic goals that have to be achieved from a long-term perspective. 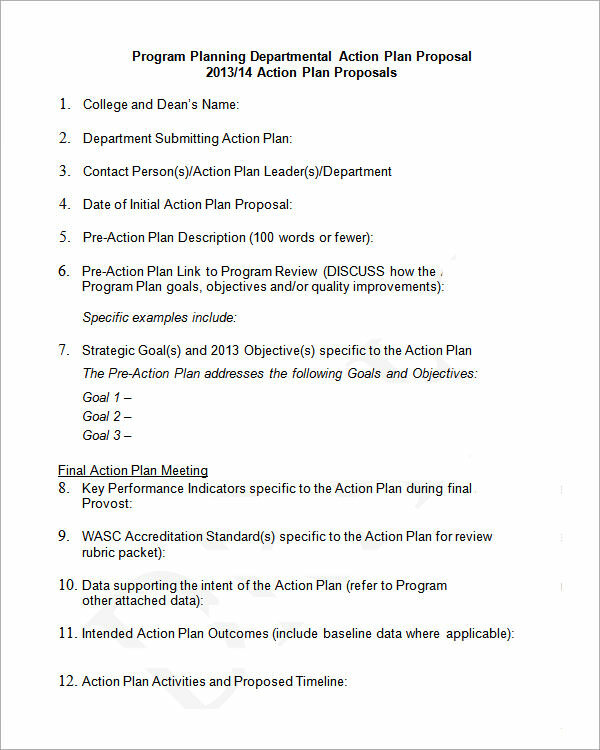 In addition, final action plan meeting information is mentioned in the template for the users. 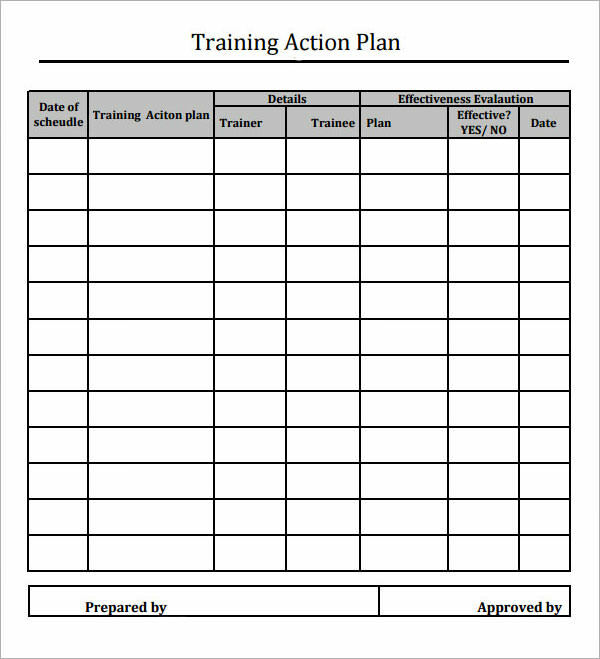 Action plan template can be used in a variety of institutional to deal with problems and emergency situation. Date and time are mentioned along with the actions taken so that the people can implement them in real time situation. In order to complete the project efficiently, a proper plan has to be devised that can only be achieved with the help of the templates. They are bestowed with a tabular format and simplistic design so that even a layman can enter the information and understand it in detail. Using the online template, one can not only save expenses but also time. 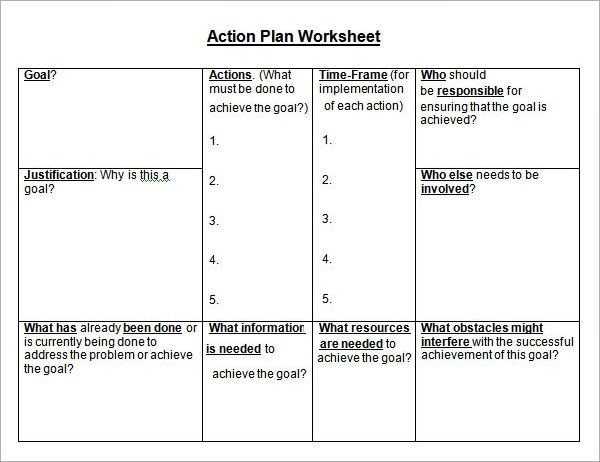 You can use the action plan template when faced with a crisis or executing the project. With documentation available in the form of the template, it is easier for the staff to follow the action plan and make sure that the project is executed within the established timelines. Expectations can be matched with the actual output and suitable changes can be made in the project planning. Results of correction are also incorporated into the Social Media Plan Template for the benefit of the analysts. 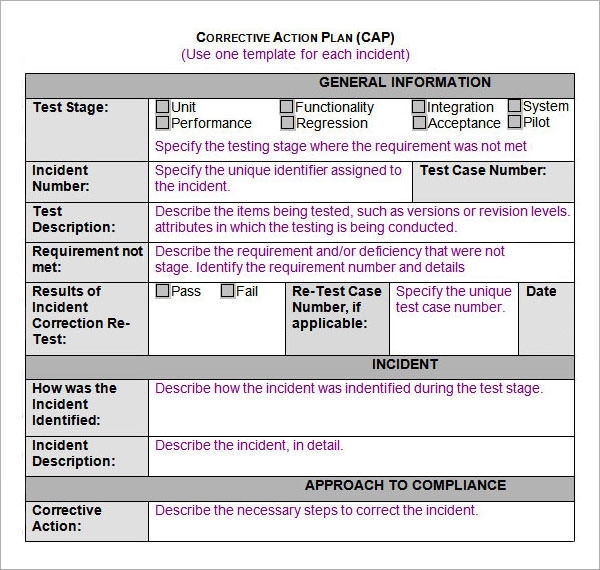 In addition, the incident description space is also available to be filled. 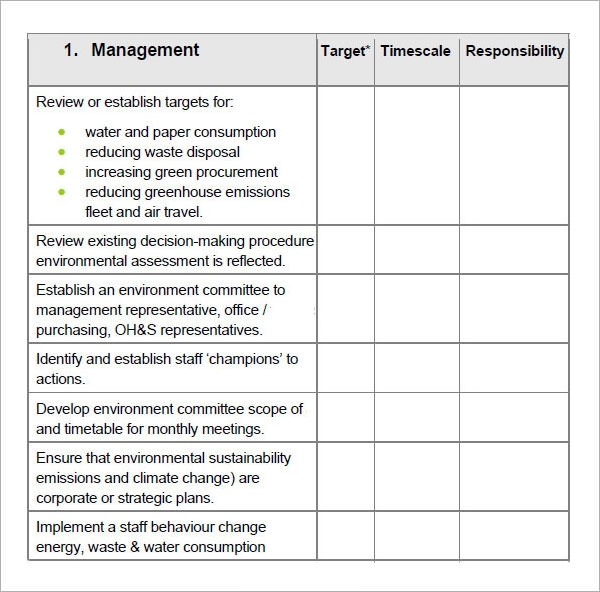 Business managers or administration of the educational institution can use the action plan according to their requirements. Since the format is already available online, it can be filled with the required information and customized accordingly. For instance, a corrective action plan can be taken midway during the execution of the project to rectify the errors and to optimize the expenditure. Users do not have to create data from scratch because the framework can be downloaded from the internet. 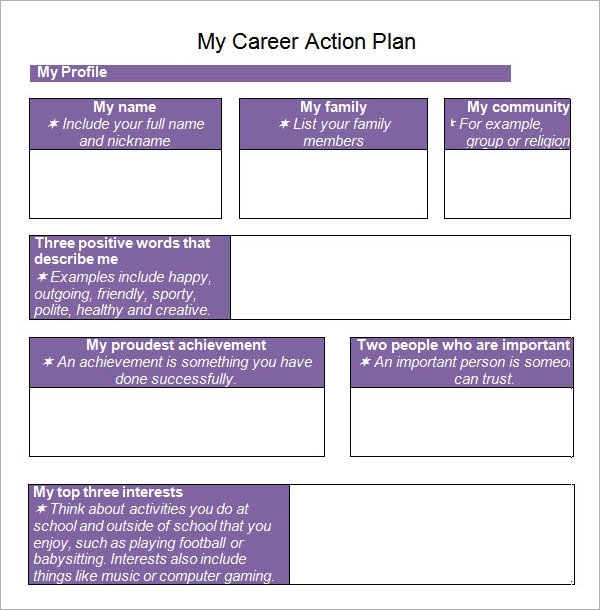 The start of the action Life Plan Templates document is accompanied by the goal header that describes the purpose of the project and ways on how to achieve the objectives. One of the most important benefits of the action plan template is that the complete information can be formulated within a very small timeframe. Rather than brainstorming about the format of the data, you need to enter the required information under the relevant headers. The purpose and the action are enumerated in the grids located within the template. It is bound to provide amazing results to the users as far as cost and operational efficiency are concerned. Using the template, one can also conduct SWOT analysis in great detail to examine the viability of the project. Clarity in execution ensures that the investments of the stakeholders are safe. Different types of analysis can be carried out with the documents. It is bound to make the whole process easy and hassle free.